We’re still only a few years out from The Avengers, but I feel comfortable saying that it had a seismic impact on our pop culture. Characters who were once considered the “B Team” of the Marvel roster are now ubiquitous, beloved cultural icons. The most recent movie starring Captain America outgrossed movies starring Spider-Man and Superman. Beyond that, it introduced the world to the notion of a different kind of serialized storytelling than most were accustomed to, and left studios scrambling to create their own shared “universes.” It’s too early to tell what the lasting impact of all this will be, but I suspect in ten years we’ll look back on The Avengers in the same way we look back on Jaws and Star Wars – a film that fundamentally changed the landscape of our pop culture. The secret behind The Avengers’ success is one that actually seems a little bit counterintuitive: the movie sacrifices plot on the altar of character. The plot of The Avengers is nothing special, and in fact, doesn’t really work taken on its own – in the end it doesn’t amount to much more than a mechanical device created to bring these characters together and then push them through the film and into the finale. That, though, is exactly why it works, because The Avengers is not a movie about plot, it’s a movie about characters – it’s about taking these big powerful presences, forcing them into the same space in a way that causes conflict, but ultimately results in the rousing triumph of teamwork. The plot of the movie is there to facilitate this primary goal and if it had done anything more it would have just gotten in the way. The Avengers is one of the best pieces of pure entertainment ever made precisely because it does not concern itself with plot. 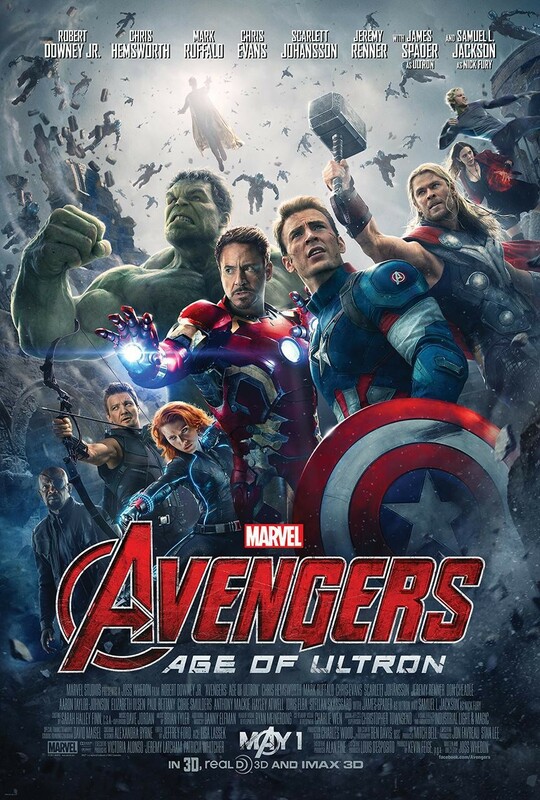 Avengers: Age of Ultron, however, does, and I suspect that’s going to disappoint more than a few people. The plot in question involves the Avengers teaming up to track down Loki’s scepter from the first film after it fell into the hands of HYDRA following the events of Captain America: The Winter Soldier. After retrieving the scepter from Baron von Strucker’s secret base in Sokovia, Tony Stark and Bruce Banner study it and realize that the technology that powers it could open the door for artificial intelligence and allow Stark to realize his dream of Ultron, a sentient machine that could defend the Earth from extraterrestrial threats. Unfortunately, once Ultron goes online, his priorities don’t quite line up with what Tony had in mind. There’s a lot going on in Age of Ultron both in terms of plot and thematics, and because of this, the film doesn’t have the same pure entertainment value of its predecessor. Instead, it sets its sights higher. In the first film these characters clashed due to conflicting personalities, but they were all united by a common goal. Here, though, things are much more murky, and every character in the movie has their own very specific motivations, and they don’t always align with one another. What’s most interesting and most exciting is seeing how these conflicting motivations evolved out of what each of these characters went through in their own movies after The Avengers. In Iron Man Three, Tony dealt with anxiety over his near-death experience in The Avengers as well as coming close to losing both Pepper and Happy, so in Ultron he’s looking to hang up the cape appoint a successor – a solution that can protect the Earth from threats before they can have a chance to wreak havoc. Meanwhile, in The Winter Soldier Cap has just uncovered the fact that HYDRA was using very similar rhetoric to justify killing thousands on innocents and robbing the world of its freedom. Each of these characters is bringing in baggage not just from the previous Avengers film, but from their own personal stories, and it’s informing their roles in the conflict at the heart of this movie. There’s a depth and an intricacy to the storytelling here that is only able to be achieved because of the nature of this shared universe. Black Widow and Hawkeye have more prominent arcs in this film – Hawkeye in particular feels like a real member of the team this time around and gets to have a lot of the humor and humanity he was denied last time. The only character who feels a bit shortchanged is Thor, mostly because there’s not a whole lot of overlap between his personal story and the story of this film. It’s the dueling ideologies of Cap and Iron Man that make up the main thematic meat of this movie. These are two of Earth’s Mightiest Heroes, each of whom is wholly committed to an ideal that is diametrically opposed to the others, and in the middle of it all is Ultron. Ultron is a threat inadvertently unleashed on the world in an attempt to protect the world from such threats, which is a validation of Cap’s philosophy, and yet the Avengers’ complete ineffectiveness against it lends credence to Tony’s point of view. As for Ultron himself, he’s more than happy to play against both sides. Ultron is a character that, in other hands, could have been the same sort of poorly motivated bore that most of Marvel’s cinematic villains have been to date, but in the hands of Joss Whedon, he becomes something really special. Make no mistake, this is a Joss Whedon character through and through – he’s smart and eloquent, but also completely unbalanced and maniacal. Imagine if the mayor of Sunnydale from Buffy Season 3 was a ten foot tall robot, and you start to get a sense of who Ultron is. It also helps that he’s cast perfectly. James Spader totally gets Joss’ sensibility for this character and runs with it in a way that’s so much fun. It’s amazing that Spader and Whedon have never worked together before, because he fits so perfectly with Whedon’s voice. The two of them create a character that is obsessed with evolution and pushing past the status quo, and it creates and interesting counterpoint to the perspectives of our Avengers. Even though Cap and Iron Man fundamentally disagree on their beliefs, each is advocating preserving the status quo in their own way. Tony wants to create radical technology to ensure that nothing ever threatens the status quo, while Steve wants to keep fighting to preserve a traditional ideal of freedom in the face of an evermore dangerous universe. In many ways, Age of Ultron is doing for the superhero movies in the 2010s what Frank Miller and Alan Moore did for superhero comics in the late ‘80s. Miller and Moore’s stories deconstructed the idea of what being a superhero really meant, but while these stories were landmark achievements at their time, the world has changed a lot since then, and their deconstruction of tropes have become tropes unto themselves. Unlike DC, who seem incapable of moving past Miller and Moore, Joss is not merely replicating these stories, but creating commentary on superheroes that’s relevant for today’s world in the same way those other stories were relevant in their own time. What is the difference between ensuring peace and ensuring people stay in their pre-determined place? Are superheroes making the world a better place or merely keeping people complacent with the way things are? These are the kinds of questions Age of Ultron tackles, but it does so without resorting to unnecessary violence and grim tone. I was actually surprised that the movie didn’t go as dark as I expected it to, but this speaks to the essential difference of how these characters exist in our modern world. We need to question our motives and make sure that we’re not just tools of the system, but we can and should be allowed to believe in heroes; that if we try hard enough, we can make the world a better place. In Man of Steel, Superman was given a no-win situation where he was forced to compromise his morals in one way or another, and Age of Ultron presents a very similar no-win situation, but then has our heroes push further and find a way to win without compromising who they are. That’s the thing Marvel understands in a way no one else does – in a world where so many of our heroes and leaders fail us and compromise their morals on a constant basis, it’s just deflating to see Superman compromise. The power of these stories is in giving us hope, letting us see the best possible versions of what we can be and what we can accomplish and give us a goal to strive for. Is Avengers: Age of Ultron a better movie than The Avengers? It’s certainly smarter, bolder, and more complex, but in order to achieve that, it had to sacrifice some of the raw, crowd-pleasing charisma of the first. I truly believe that The Avengers is one of the best pieces of pure entertainment ever made, but Ultron aimed to be something more than just great entertainment, and I think it succeeded, but as a result it doesn’t have that same feeling of rousing triumph. Because of this, it’s inevitable that Age of Ultron will be seen as a disappointment to many who were expecting to recapture that same magic. As I mentioned recently, ranking movies is an inherently silly, nonsensical thing to do and Avengers: Age of Ultron shows us why. It’s such a profoundly different film from the first, with wildly different goals, that trying to determine which one is “better” is a fool’s errand. Regardless of whether it is or is not “better” than the last one, Age of Ultron is a smart, fun, compelling movie, and I enjoyed it quite a lot.